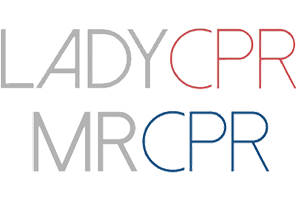 LadyCPR and it’s twin MrCPR are luxury Public Relations and Event Management Consultancy Agencies. We are able to provide expert PR services for brands, other PR agencies and organisations across the luxury lifestyle industry due to the extensive and varied expertise of our knowledge and portfolio of work. As well as established names, we also work with internationally emerging brands and those that are moving into the international market for the first time. We also specialise in assisting other PR and Event Management agencies with projects and freelance work allowing flexibility for firms to outsource work. With a range of PR services available, our clients experience a tailored and flexible approach to their strategic requirements from the outset. LadyCPR can bring to life new brands seeking to maximise their impact on the market, as well as providing ongoing support for other PR Agencies requiring external freelance work to aid in promoting their clients. At LadyCPR, passion for the luxury lifestyle industry runs in our veins and we aim to use our knowledge and experience to provide the best PR services and Event Management to our clients. Please contact us to find out more about our bespoke service and for information about how we can raise the profile of your brand or aid in workflow management for your agency.